With its roots back in 1957, the 500 hatch from house of Fiat takes a refreshed look. Designed gorgeously, the new model offers upgraded interior and had traits that will gain eyeballs while rolling down the lane. 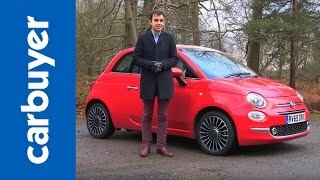 Let us have a closer look at the details through the review of Fiat 500 2016 to know what all company has to offer at this affordable price. The interior of Fiat 500 2016 ha been upgraded in a way that it looks good and serves better. The first thing coming your way will be the new color options and the option of higher-level materials to make your car more customized. The dash and the console both get a revised look with the infotainment controls finding place above the air vents. The model for the first time gets a new touchscreen featuring Uconnect system. Close to this is the three-spoke steering wheel while the entire interior gets additional soundproofing to reduce NVH. 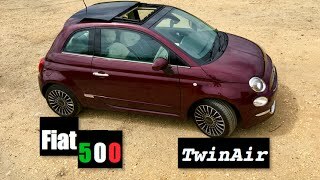 In all, rounding up the interior details of Fiat 500 2016 I would say, it has everything that one can expect to have at such an affordable price. 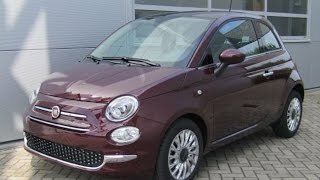 The changes in exterior of Fiat 500 2016 are pretty mild and keep the traces of the predecessor models. Starting with the front fascia there is a revised grille divided in two portions. The top part features two intakes while the lower one has single but wider. Close to this are the fog lamps, you can call the set integrated in the grille. Moving towards the rear end there is a new set of LED taillights with new surround design. Alongside the bumper you can also notice a chrome strip running at the lower portion while the single exhaust tip gets more polished look. 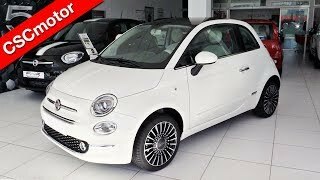 In all rounding up the exterior details of Fiat 500 2016 I would just say, that changes are subtle yet are noticeable and appreciable. The Fiat 500 2016 brings various engine options with it. First in our list is the 0.9 liter TwinAir engine generating 85 hp or 105 hp while the second brings the duo of 1.2 liter displacement with the four-cylinder and LPG bi-fuel engine. Both of these will produce total output of 69 hp. The third and last will be the 1.4 liter gasoline four-cylinder engine cranking 100 hp. 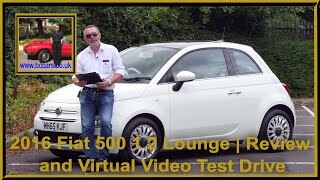 The top speed of Fiat 500 2016 with its 1.4 liter engine is little below 120 mph while the 0-60 mph sprint can be knocked in around 9 seconds.